I saw that this summer, I think shortly after it was finished. Whoever did that did an amazing job! Murals are a dying art form as many just view it as “graffiti”. Like Sheri, I love the twist on this photo – it really was such a dazzling moment caught on camera and the artist here has completely captured all the emotions through the outstanding colour! Bravo! 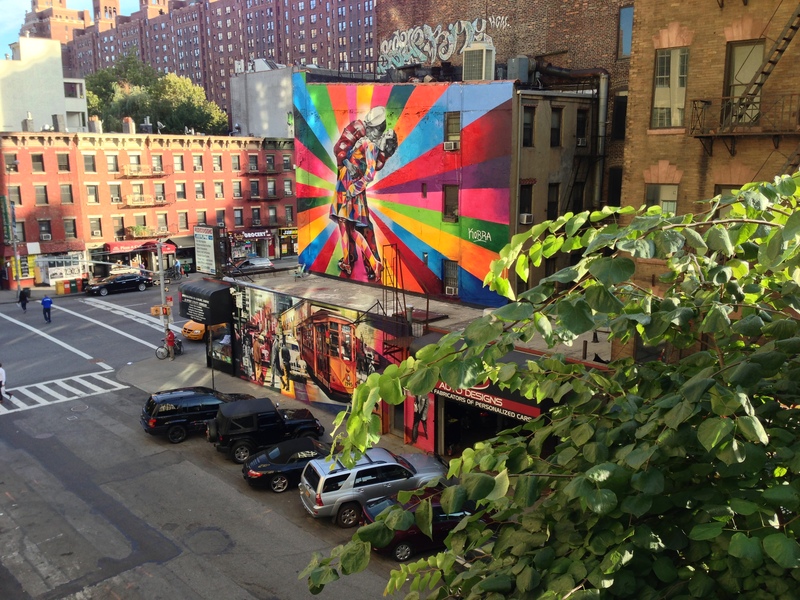 street art is just the best, especially in NYC and seem from the High Line.